Spread out your golden sugar in a heap on a flat plate. I'm talking a heap, don't be shy. 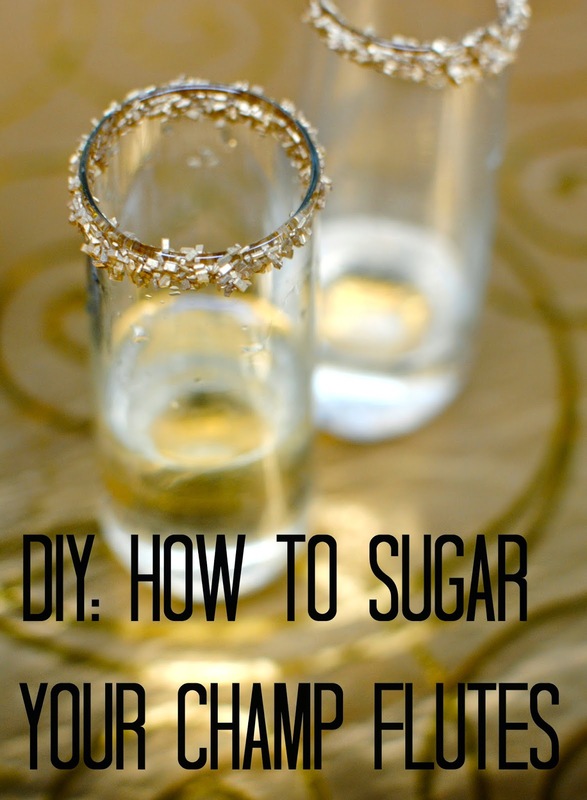 Dip the rim of your flute in a bowl of water or get crazy and run it under the faucet for a quick sec. Immediately put the wet rim in the heap of sugar. I like to swirl mine around to make sure the rim is evenly covered. And there you have it - it's a miracle! Sugared rim that stays on! I have to say that this is really sturdy, it stays on like glue even after you drink out of the glass. 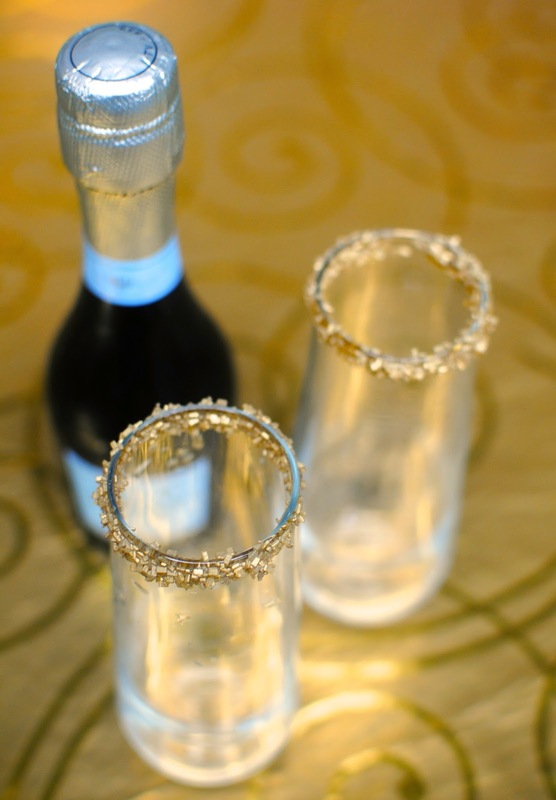 If you get a little sparkle on your lips who cares, it will only make your NYE kiss even better, right? 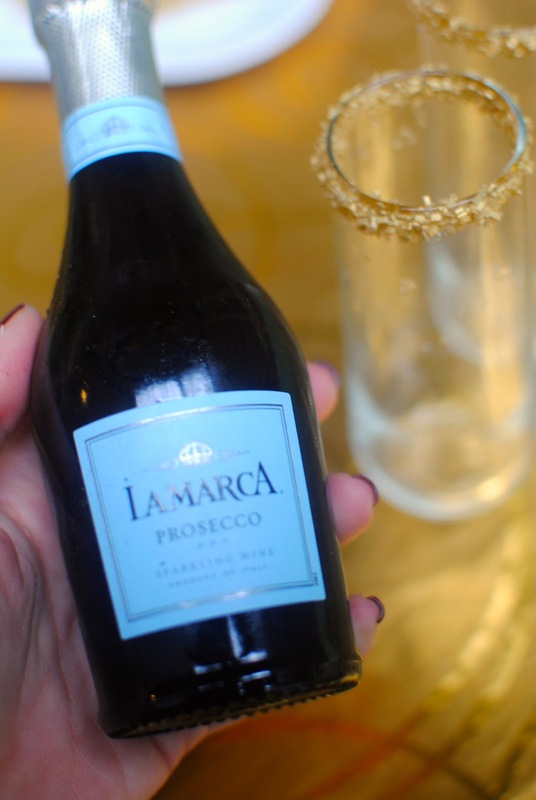 Side note - how adorbs is this LaMarca Prosecco mini bottle (although lets be serious, we'd need a whole bottle thank you very much)? This is my favorite type of Prosecco in case you're wondering. 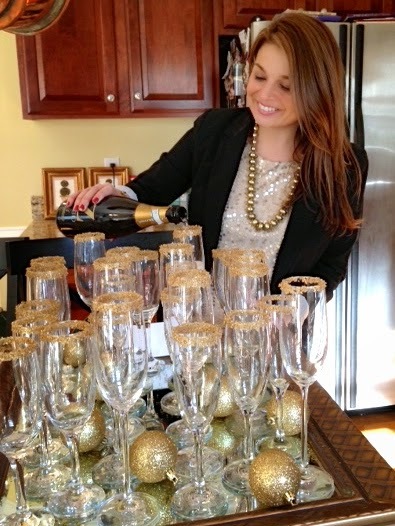 Cheers and Best Wishes to a 2015 filled with sugared rims and more! Oh, and I'll get to that pesky old announcement in a week or so...here's a hint...it's not a baby. Sorry mom! Love your tutorial! Glad to know that water works so well around the rim, and I hope you had a fantastic NYE! I wrote once at essay editing service reviews about New Year preparations. 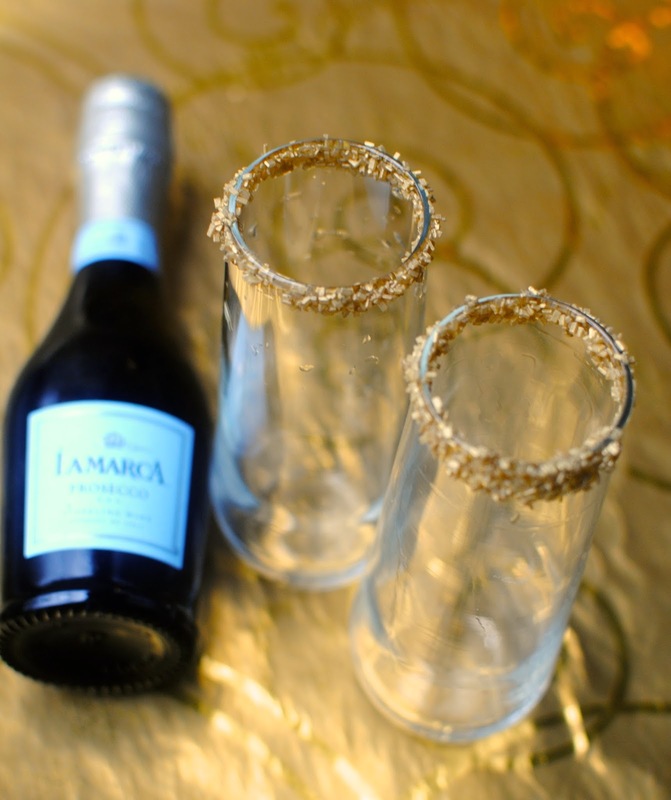 My opinion is that these sugar rims are not quite comfortable to drink champagne. Dips and Parties and More!